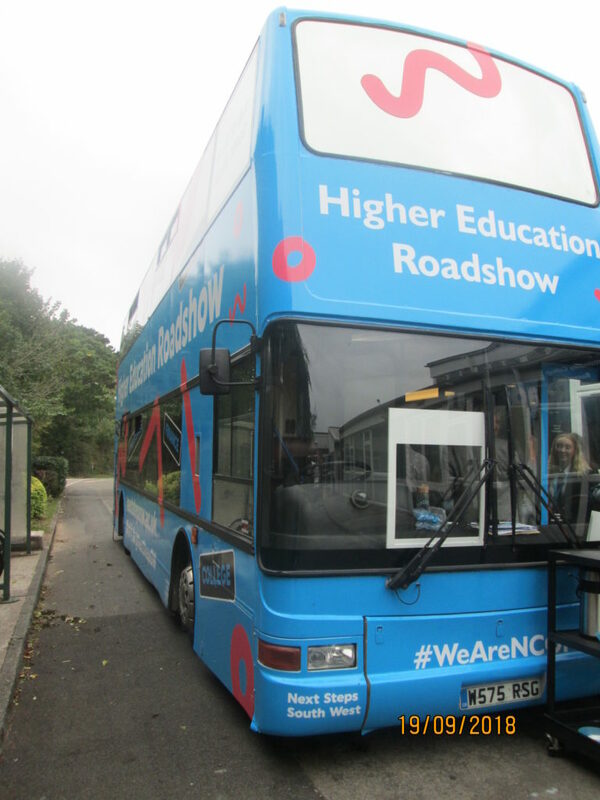 We were delighted to welcome the Next Steps South West (NSSW) Roadshow bus to TCC to work with students in years 11, 12 and 13. 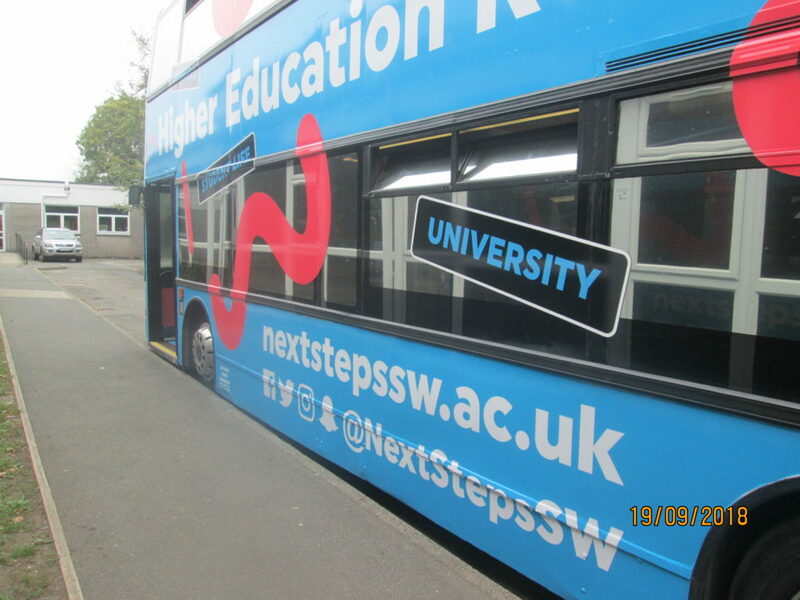 NSSW aims to increase students awareness and knowledge about higher education. Students were able to speak to University students, complete personality profiles and find out what university teaching is like by taking part in a seminar about French rap. Students were able to voice their opinions and justify them articulately. Well-done to all targeted students who were invited to the road show. If you want to do some more careers research especially into the benefits of higher education, don’t forget to use the CareerPilot or Unifrog websites.